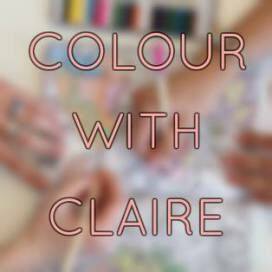 Who will love it - those who enjoy colouring nature images, those who like colouring mandalas, those who are seeking a relaxing, soothing, colouring experience. 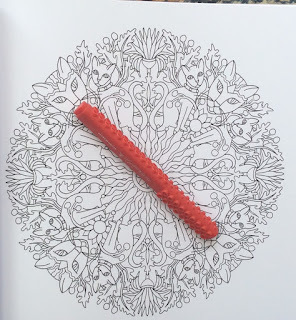 Comment: I first heard rave reports about Cynthia's drawing last year but I've only just now got my hands on one of her books. 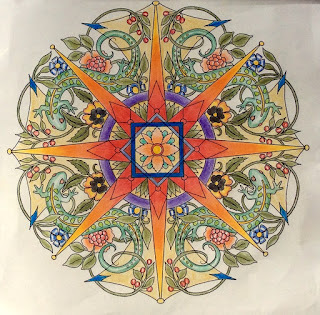 It has been a while since I last coloured a mandala, having been discouraged by overly fussy, highly detailed images. 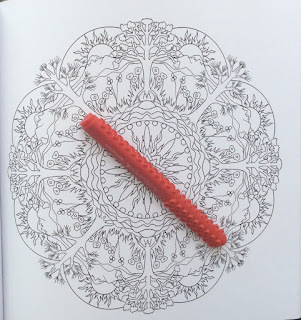 Colouring Cynthia's mandala is a totally opposite experience. 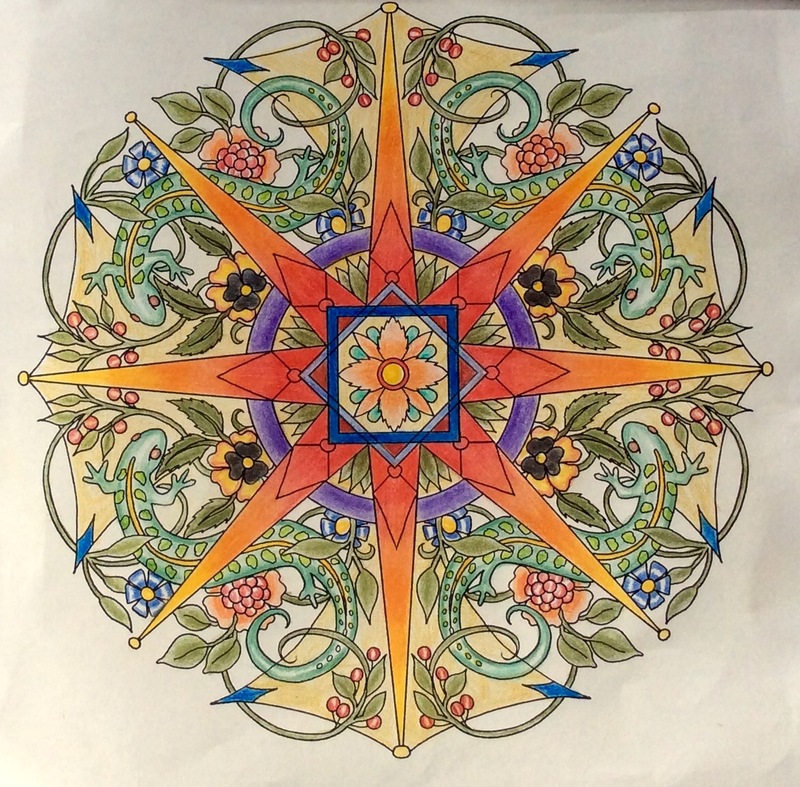 Her mandalas are a joy to colour. Drawing: There are 44 mandalas in this book. 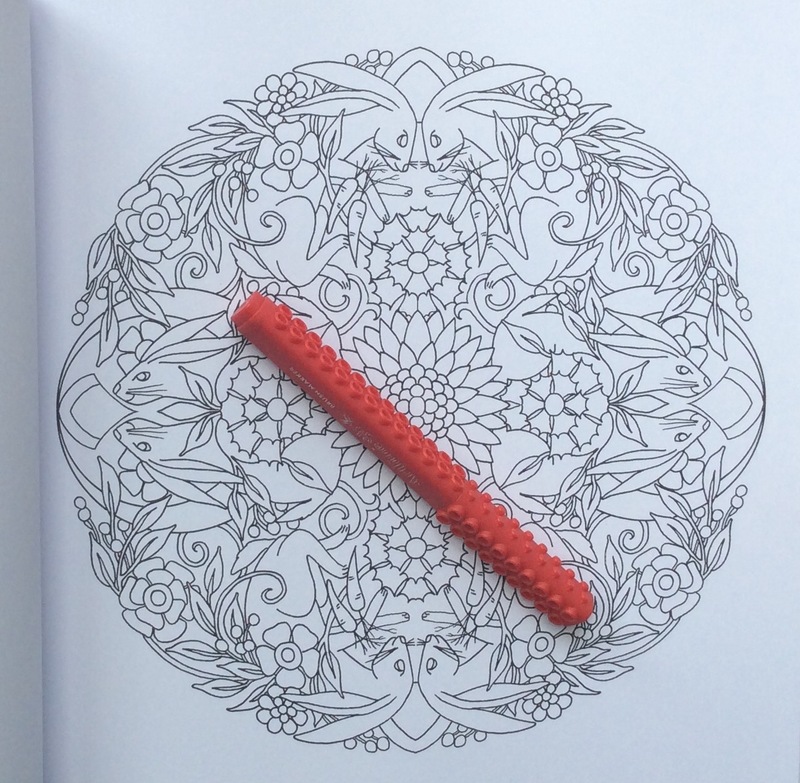 Each is centred on its page with no drawings going into the spine. 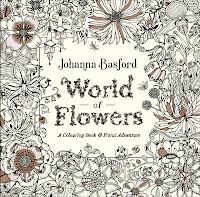 The drawings are characterised by lovely, winding and twining lines. Often the creatures within in them are almost hidden. Can you spot my camouflaged lizards up there? However there is enough space within the drawings to do some shading or add texture with other techniques like cross hatching. The line length is consistent and medium throughout. 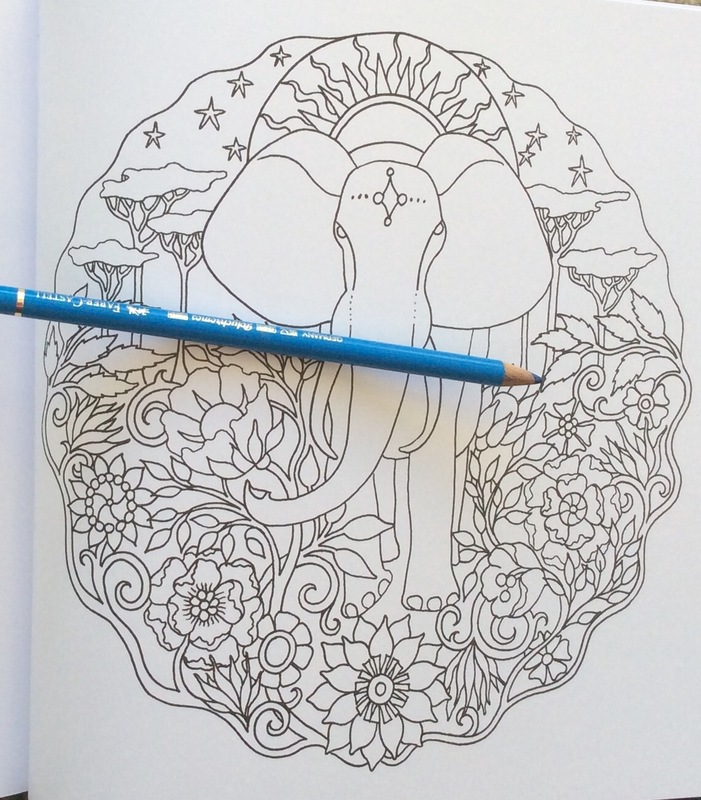 There are a couple of patterns such as the elephant below, that aren't repeating circular designs. 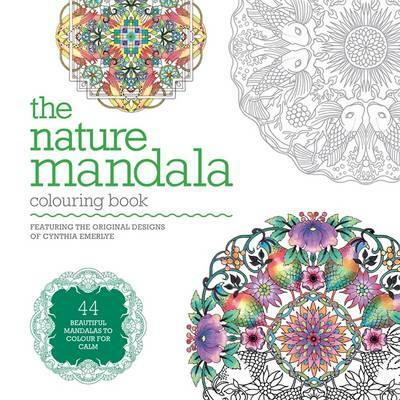 Paper & Layout: The book opens with an introduction by Cynthia on how to approach your colouring and there's a useful mandala subject list too. The paper is white and good quality. 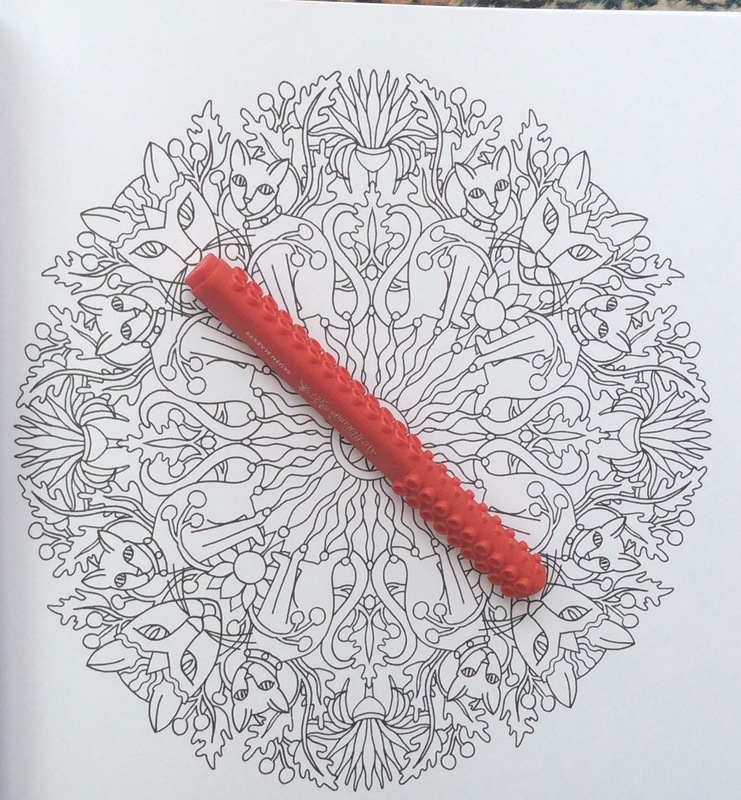 Being single-sided, you will be fine to use alcohol markers but they will bleed through to the back of the page. 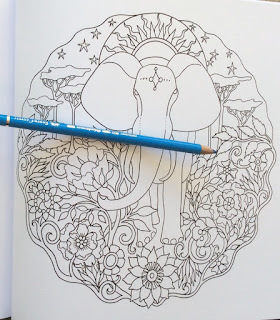 It's always a good idea to place a protective page or piece of card under the mandala you're colouring, to protect the following page. Also try out your pens and pencils on an unobtrusive spot in the book. 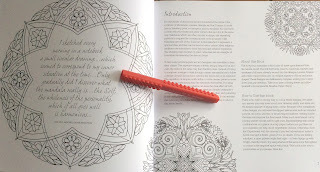 It is glue bound and possibly string too, and with use, the book will lie flatter. Cats - my next one to colour!